Not since the glory days of Harakkhan Magic in Japan has such a quality appearing cane and torch been available! If you want to open your act with FLASH and MAGIC, this is the effect for you! 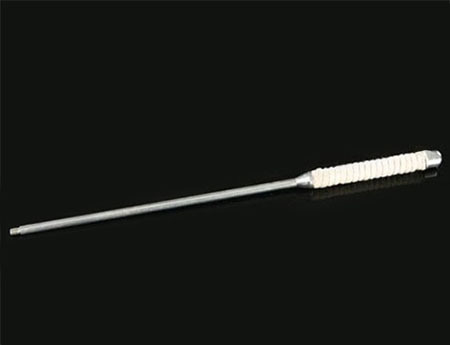 This outfit includes a machined aluminum torch with thick cord wrapped around its head. This is FAR superior to the type of torch most commonly seen...the one with the wicking on the inside of the torch and holes drilled through the torch to allow the fire to burn. 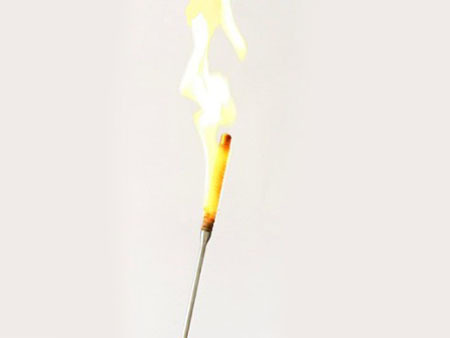 This torch produces a MUCH brighter and larger flame! The torch unscrews into two pieces for convenience and compact size when packing and transporting. The second part of this outfit is the appearing cane itself. This is one of the finest canes I've ever tried and I'm pretty certain I've tried them all! It's got an extremely smooth action and is fast. Make that LIGHTNING FAST! The lock and release is based upon the original Harakkhan design...it is spring loaded for trouble-free and worry-free operation. The finish is a high gloss black with the knob being a silver diamond pattern prism finish and the ferrule being machined aluminum. 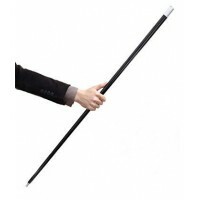 This cane is also slightly longer than most...it is actually the length of a real gentleman's cane, so it looks proper, instead of like an oversized wand in your hand. The torch screws into the cane for safety, although you may certainly use the cane alone (without the torch). 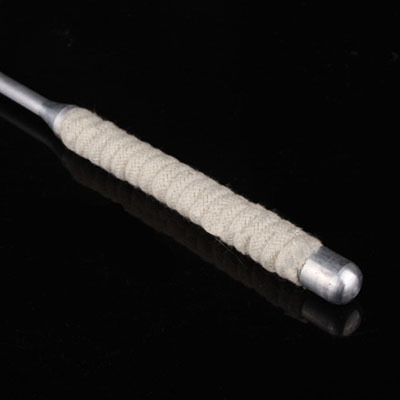 This is a perfect cane for the Silk to Cane effect, though you can be creative and toss some confetti for the cane to appear, or whatever else your mind comes up with. You may prefer to perform Juan Mayoral's burning silk to cane, which is quite impressive. This pro outfit comes complete with the top quality cane, torch, and complete instructions.